Have a hankering for that delicious yogurt sauce that comes with gyros? 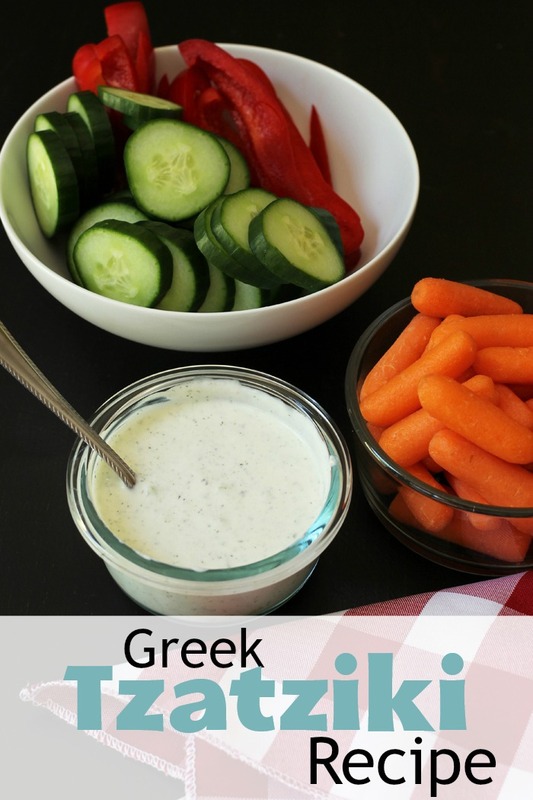 You can make your own easily at home with this simple Greek Tzatziki Recipe. Take-out is tempting. That’s all there is to it. Someone else makes dinner for you — and even does the dishes! It’s quick, or at least feels immediate even when you have to wait in line, and you don’t have to go to the grocery store. However, cooking at home is proven to save you money — and help with portion control and healthy eating! — so it’s better to DIY at home, for less. Fortunately, many of your take-out favorites are not elaborate, gourmet meals. They’re actually pretty simple fare. 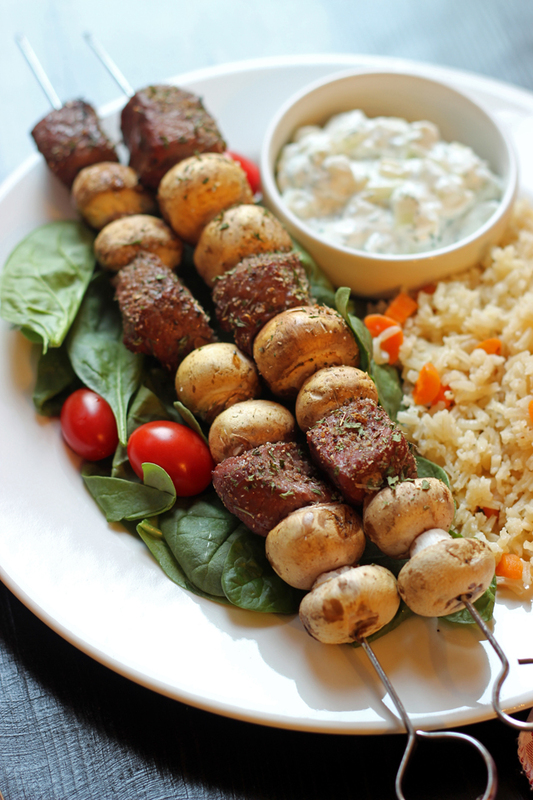 Take the case of that yummy yogurt sauce that comes with your gyro: Tzatziki. 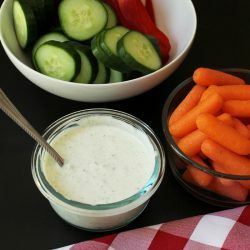 With just a handful of ingredients, this tzatziki sauce recipe will have you dipping your favorite veggies and fried goodies in no time, without leaving the comfort of your own home. Tzatziki is a Greek sauce made from drained (Greek) yogurt, chopped or grated cucumber, vinegar or juice, garlic, olive oil, and dill or mint. How do you make tzatziki? It’s as easy as mixing a handful of ingredients together in a bowl! Lookey there! Plus, the sauce is good for up to a week, refrigerated. How do you pronounce tzatziki? Pretend the t’s are d’s as in dzah-DZEE-kee. 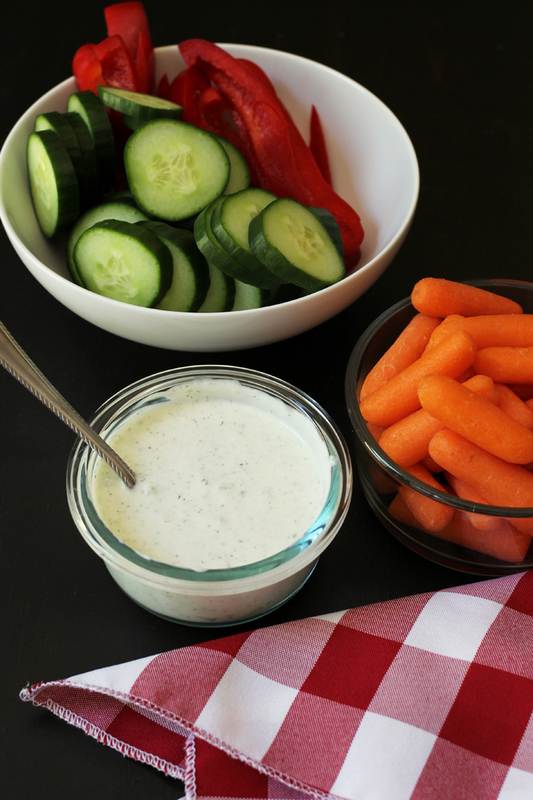 How do you eat tzatziki? 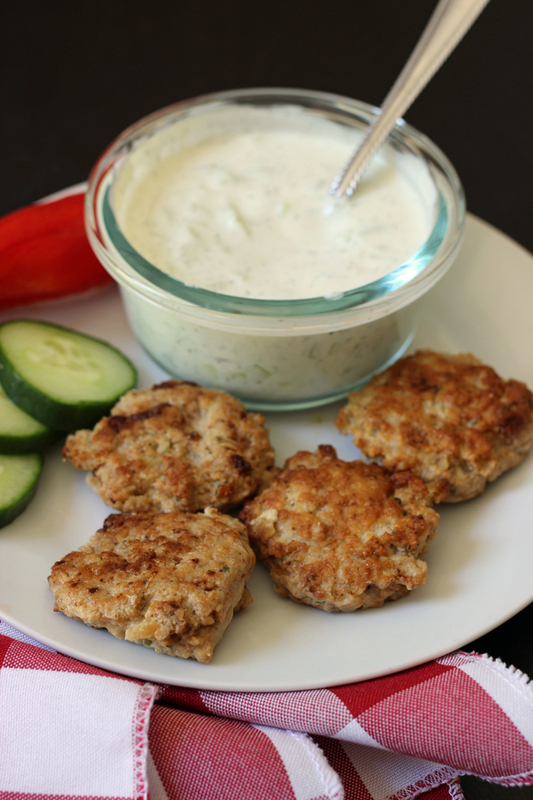 Tzatziki can be served as a dip, spread, or condiment for fried foods or sandwiches, such as gyros. They are great with these crispy chicken patties! Stock up on ingredients when they are on sale. When I find regular kitchen staples on sale, I buy a lot. I’m currently using a price book to track prices and that’s saving me money. For this recipe, keeping an eye on the price of Greek yogurt can help keep the price down. When I see a good deal on it, I buy a lot. It’s just one way I save money on groceries without clipping a single coupon. Buy in bulk. I regularly buy spices and dried herbs in bulk, either from Costco, Amazon, or Vitacost. I fill a jar for my spice cupboard and then store the excess in the freezer to help preserve its shelf life. Grow your own dill. Fresh dill is an expensive item at the store; dried is always more affordable. Bridge the gap by growing your own dill. Here are the tools that I use for this recipe. In a small mixing bowl, combine the yogurt, cucumber, garlic, lemon juice, and dill. Stir well to combine. Store in a covered dish in the refrigerator until ready to serve. Try roasted garlic for a fun twist. Jessica, do you think this would work with fat free or low fat yogurt? I don’t buy spices in bulk, for just the two of us, I would never get them used. But my store has a ‘dollar’ section with spices and seasonings and I do buy things like celery salt, cinnamon, etc. there. Yes, lower fat yogurt is fine. It will be tangier.